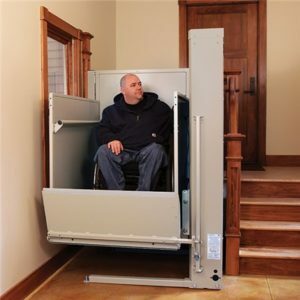 Lift and Accessibility Solutions is proud to offer the Bruno Residential Vertical Platform Lift to our clients. Bruno’s lifts are made in the USA and provide a cost effective access solutions to your home. Gain easier access to raised entries, decks, or different levels in your home. The ride is smooth, quiet and easy to operate with maintenance free reliability. 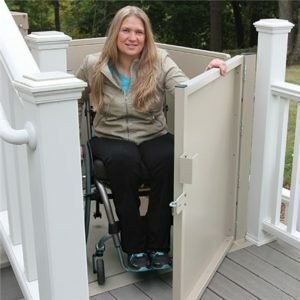 Vertical platform lifts are also called porch lifts or wheelchair lifts can be installed indoors or outdoors and are code compliant.